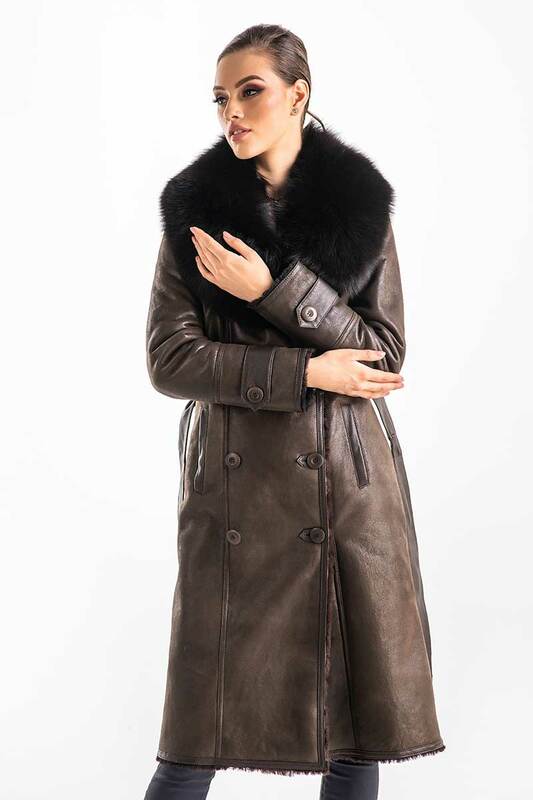 Without a doubt a long fur coat should be in a woman’s wardrobe. A sophisticated but extremely versatile clothing design, a merino lamb fur coat it is an ideal piece to face the bitter cold days. 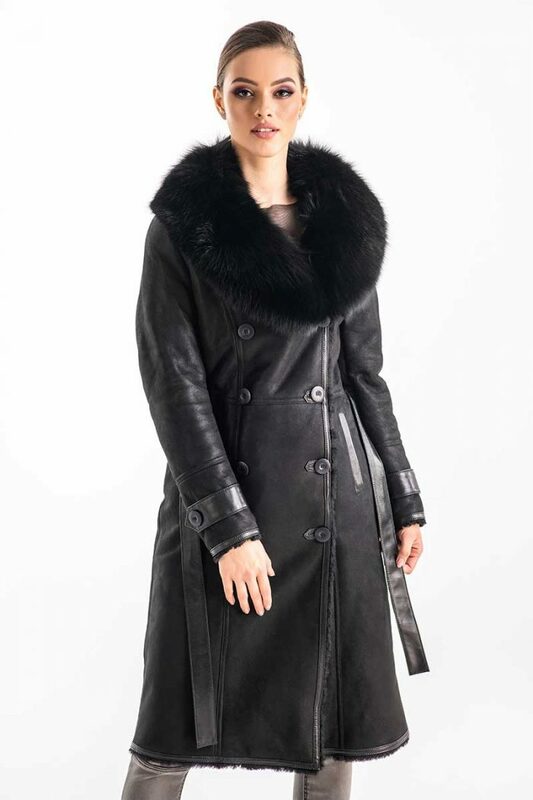 Moreover, it is highlighted by an arctic fox fur collar, that will give you more refinement and elegance.The merino lamb fur coat is highlighted by a belt that emphasizes the waist, but also two perfect pockets to hold your hands when you are cold. Closing system is provided by buttons, which makes it easy to wear.